Getting ready to head home? Give the JustUs Geeks a call before you go! We need your questions for the upcoming recording of the Episode #23 podcast! 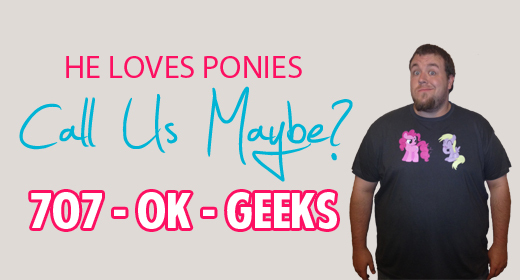 Call us RIGHT NOW at 1(707) OK-GEEKS and leave your question for us on the JustUs Geeks Hotline! Leave your question and be featured on the podcast. As always, feel free to also leave your questions and comments on the website, Facebook page, and Twitter. Podcast episode 23 – Double Jeopardy! Episode 53 – This Is Not A Joke! We Need Your Questions for What’s The Hubbub!